Heroic staff at Doncaster Royal Infirmary are dealing with a 'very high demand' in A&E as some non-urgent operations are cancelled. NHS bosses in the town are urging people only to visit the emergency department if the situation is 'life-threatening'. People are urged to attend A&E if they are suffering urgent conditions such as chest pain, blood loss, black outs and choking. The hospital's A&E is said to be 'extremely busy' with staff dealing with a high number of 'very poorly patients with complex conditions'. During January, health chiefs added they will 'prioritise' urgent care meaning some 'non-urgent' operations and appointments will be cancelled and rescheduled for a later date. Patients are asked to attend these non-urgent surgeries and appointments unless directly contacted by the hospital. Richard Parker, chief executive officer, at Doncaster & Bassetlaw Teaching Hospitals NHS Foundation Trust said: “As part of winter preparations we had put in place a plan to manage elective activity during the busiest part of the year and are prioritising urgent care, this will result in some non-urgent operations and appointments being rescheduled. However, we are asking patients who have planned operations or appointments to attend as normal unless we have contacted them directly. “Thanks to the incredible teams we have at DBTH we are dealing with the very high demands on the services and I'd like to take this opportunity to thank every member of staff for their hard work and dedication to continue delivering the safest care possible to all our patients." Dr David Crichton, chair of NHS Doncaster Clinical Commissioning Group, said: “A&E is for real emergencies. 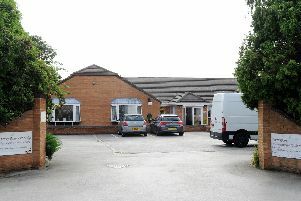 There are other options in Doncaster, including the Minor Injuries Unit at Mexborough’s Montagu Hospital, which has access to x-ray facilities and can deal with health problems like cuts, strains, rashes and sprains. “And don’t forget that your local high street pharmacist is a mine of information if you need health advice. Pharmacies sell over the counter medicines for routine conditions like coughs, colds and stomach upsets." GP surgeries are open weekdays and when they are closed, an out of hours service operates which patients can contact by ringing 0300 123 9990. The Doncaster Same Day Health Centre is open every day of the year and can arrange appointments within 24 hours by calling 0300 123 3103.